Let's Play on the Beach! 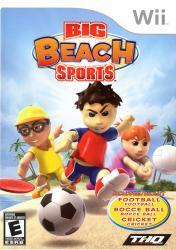 Play a variety of high energy, over-the-top sports games and activities all with a summer feel to them. Players can participate in the following sports: Beach Volleyball, Beach Cricket, Beach Soccer, Beach Football, Disc Golf and Bocce.